At last a modern wall clock with an original style ! 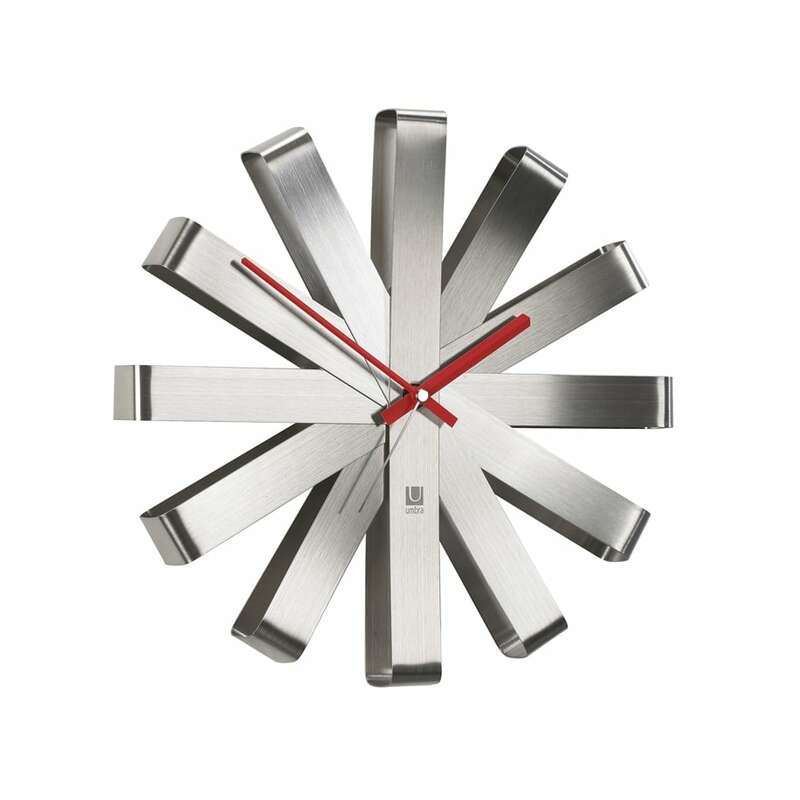 In ribon aluminium this design wall clock will be perfect for your interior decoration. This lounge wall clock is 30.5 cm in diameter. Free 48/72h delivery in metropolitan France and Belgium for this trendy wall clock. Inspired from the new design trends the original cut of this contemporary wall clock will enhance your decoration. The hands are in the middle of the deco clock with a fire red color that contrasts with the aluminium to allow a better reading of the time. This decorative wall clock in ribbon aluminium will brighten up your lounge or kitchen with its off-the-wall style making a change from the traditional clocks. All our modern wall clocks are fitted with a quartz movement working on standard batteries (not included). This design wall clock also comes in wood or other colors to suit your inspirations or desire of the moment.